Sursassite: Mineral information, data and localities. 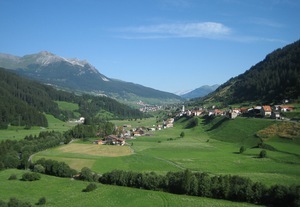 Named for the Sursass (Oberhalbstein) district of Switzerland, in which the type locality is situated. 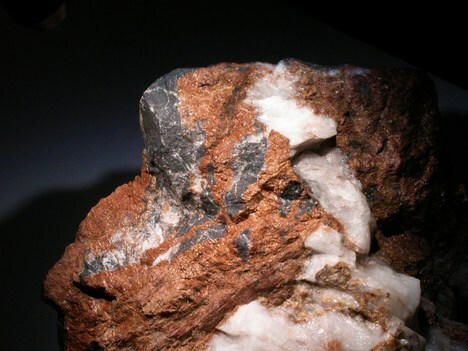 This page provides mineralogical data about Sursassite. Tinzenite 4 photos of Sursassite associated with Tinzenite on mindat.org. Quartz 2 photos of Sursassite associated with Quartz on mindat.org. Carpholite 2 photos of Sursassite associated with Carpholite on mindat.org. Braunite 1 photo of Sursassite associated with Braunite on mindat.org. Schweizerische mineralogische und petrographische Mitteilungen (1926), 6, 376-380. American Mineralogist (1927): 12: 380. American Mineralogist (1964): 49: 168-173. Mellini M., Merlino S., Pasero M.(1984), X-ray and HRTEM study of sursassite: crystal structure, stacking disorder and sursassite - pumpellyite intergrowth. Physics and Chemistry of Minerals, 10, 99-105. 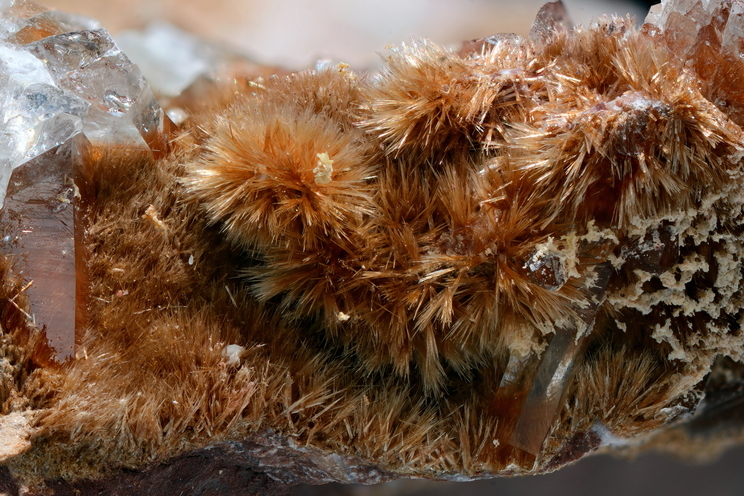 American Mineralogist (1985): 70: 221. Hatert, F., A.M. Fransolet, J. Wouters & H.J. 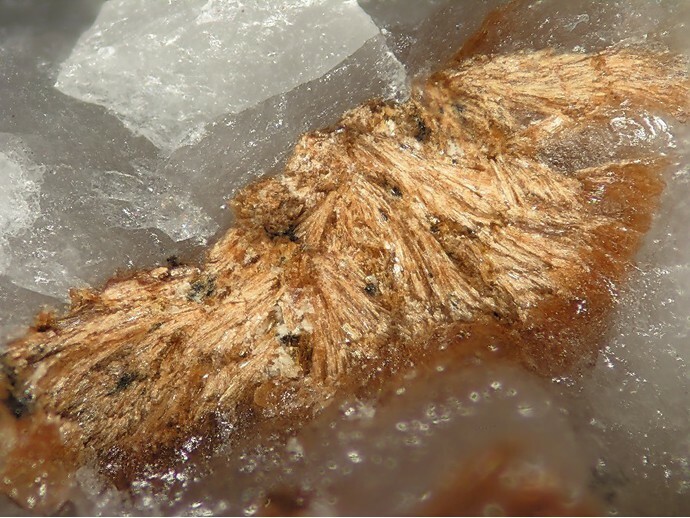 Bernhardt: The crystal structure of sursassite from the Lienne valley, Stavelot Massif, Belgium. European J. Mineralogy 20, 993-998. The following Sursassite specimens are currently listed for sale on minfind.com. E. William Heinrich (1962): Sursassite from New Brunswick. Can. Mineral. 7, 291-300. Mariko Nagashima et al (2009) Am. Min. 94, 1440-1449; Nagashima, M., Armbruster, T., Akasaka, M., Minakawa, T. (2010): Crystal chemistry of Mn2+-, Sr-rich and REE-bearing piemontite from the Kamisugai mine in the Sambagawa metamorphic belt, Shikoku, Japan. Journal of Mineralogical and Petrological Sciences 105, 142-150. Matsubara et al (1987) Koubutsu-Gakkai Kou'en-Youshi, 114. Mariko Nagashima et al (2009) Am. Min. 94, 1440-1449. Minakawa & Momoi (1987) Koubutsugaku Zasshi, 18, 87-98. Stalder, H. A., Wagner, A., Graeser, S. and Stuker, P. (1998): "Mineralienlexikon der Schweiz", Wepf (Basel), p. 392.; - Geiger T. (1948): Manganerze in den Radiolariten Graubündens. Beiträge zur Geologie der Schweiz, Lieferung 27, 89 p.
Mitchell, R.S. and Corey, A. (1973) Braunite and sursassite from Los Angeles County, California. Mineralogical Record: 4: 290; Pemberton, H. Earl (1983), Minerals of California; Van Nostrand Reinholt Press: 164, 485.